There have been scams going around in medical alert systems. There have been promises of a "free" medical alert system, the scam targets seniors and caretakers by offering a system free of charge claiming a family member or friend has already paid for it. In most cases, seniors are asked to provide their bank account or credit information to "verify" their identity and as a result are charged a monthly $35 service fee. The free system never arrives and seniors are left with a difficult charge to get refunded. Always be weary about free offers that require personal information and always talk to the supposed friend or family member the caller claims paid for the free product of service! No Charge to Move Your Alarm Monitoring with GeoArm! NEED ASSISTANCE WITH YOUR ALARM SYSTEM ? 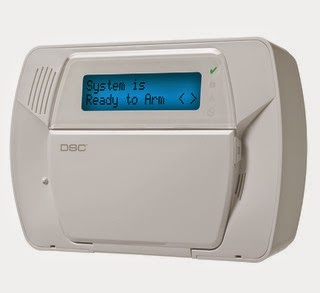 How to program a DSC wireless motion sensor into a DSC Impassa Security System. If your looking for this system to purchase please visit our site! How to Program a DSC Wireless Motion into a DSC Impassa in "Spanish"
Learn how to operate your DSC Impassa wireless security system with this user video. Pay less for DSC DIY security with GEOARM!!! Honeywell L5200 Wireless Security System is Now Released by GEOARM!!! 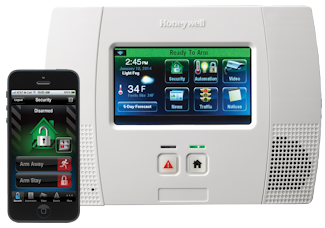 The highly anticipated launch of the new Honeywell L5200 wireless security system has begun. GEOARM will has the new kits L5200 LYNX Touch kits available for purchase for the avid do-it-yourselfer. Honeywell’s LYNX Touch 5200 all-in-one home and business control system is packed with features that help dealers enhance the user experience and improve operational efficiency! Consumers can now view a single indoor or outdoor IP camera right on the panel’s 4.7” touchscreen—letting dealers provide an economical video viewing solution and add tremendous value to their offering. Using the Honeywell LYNX Connect app, users can view a live video feed and control their systems from an iOS or Android™ device anywhere on premises. LYNX Touch 5200 also features two-way voice over Wi-Fi—an industry first. It dramatically lowers your operational costs and installation time since there’s no need to connect a wire from the control panel to the communications router. It adds a smarter dimension to the connected lifestyle, with randomized lighting for heightened security, a sunrise/sunset feature that takes the hassle out of reprogramming the seasonality of dawn and dusk and an auto-secure function that lets users arm their systems when garage doors are open—helping to prevent false alarms.